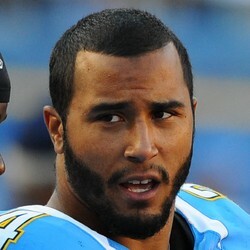 NFL Insider Adam Caplan is reporting free agent running back Ryan Mathews intends to continue his playing career. Now healthy, he was recovering from a neck injury prior to his Tuesday release, Mathews is expected to continue his playing career. Expect him to be pursued by running back-needy teams that include the Ravens and Broncos. He should be on an NFL roster by Week 1 of the regular season.